Looking for answers... I have compiled a list of my most frequently asked questions below. If you are unable to find the answer you are looking for please send me an email so that I may better assist you. Health coaching is a unique position grounded in the science of lifestyle, health, and wellness. The health coach can be seen as a health promoter, health educator and an active partner in helping a client lose weight, manage a new health condition, resolve digestive discomfort or create new healthy habits. The health coach provides practical, strategic advice, and accountability. Health coaches help clients make changes that improve their overall health and well-being across a range of health goals, conditions and concerns. If you’re not sure if a coach would be helpful, click here to sign up for a free 30 minute consultation. How often does my coach contact me? Clients will receive weekly coaching sessions via phone, google chat, email, or face-to-face depending on the program purchased. All clients will have access to the coach through facebook or email should a question arise between coaching sessions. Please allow 12-24 hours for a response. Online clients receive the same number of coaching sessions and program materials as local clients. Online weekly coaching sessions are conducted via phone call or google chat. 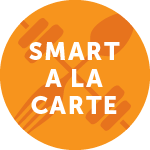 Restore 12, THRIVE 6, and SMART a la Carte are all offered online. After the payment is processed, please allow 24 hours for your welcome packet to arrive by email. Program content is released progressively depending on the duration of the package purchased. DO YOU OFFER WORKOUT PROGRAMS? 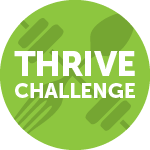 Simple, easy to follow cardio and strength training regimens are included in the THRIVE 6 and may be an option in SMART a la Carte as well. ARE YOUR PROGRAMS FOR WOMEN ONLY? Men can also participate in any of the SMART Body Dynamics programs. At this time, no group coaching programs are offered, but group coaching can be purchased. Just ask for pricing during your FREE 30 minute consultation. HOW QUICKLY CAN I EXPECT TO FEEL BETTER AND SEE RESULTS? Every person’s body, metabolism, and motivation to change is unique. Therefore, how quickly you see results depends on how compliant you are to the programs and your body’s metabolic makeup. If you’re dedicated and you’re ready to change, you will succeed. 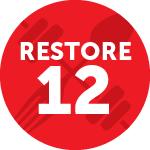 You will receive all the tools and support it takes to help you create a permanent lifestyle change. SMART Body Dynamics does not offer refunds. Free consultations describing the programs are offered to all clients prior to payment, Results are dependent on the client’s compliance and motivation. If you did not find the answer to your question above, please send me a message so that I may better assist you. Did someone refer you? If so, I'd love to say thank you.